We get you, because we WERE you, and you’re reading this right now because we are on the same path. You FEEL a PASSION to make an impact in the world through coaching. Your current job isn't cutting it - in meaning, purpose, or finances, BUT you stick with it because that's what COMMITTED people do. You want to break in to a coaching career, but everywhere you look, you're seeing dollar signs of programs that rival the cost of small colleges. You're being told that the ONLY way to be successful is to spend $1000s, but there's no guarantee or conversation on how to even get clients. You work a full-time job already, and can't take time off for live training, but you also can't wait forever to get certified. Besides that, you're spinning A LOT of plates - family, work, and lots of people & things counting on you. (NOTE: This part is an educated guess since 85% of our students are women). Welcome home! You found us! We literally designed our Life Coach Certification Online program with YOU in mind, because, like we said: We have walked the VERY SAME path. Gain the skills & confidence you need to help your clients achieve results. You’ll learn all the core competencies that are evident in every great coach. Overcome fear and doubt about whether or not you can truly help people. Confidence doesn’t simply come from information. Experience is the greatest teacher. Each module includes experiential exercises and tools to help you put knowledge into practical action and to negate any of your inward disqualifiers. Transform lives around you through your calling as a coach. Becoming a coach isn’t a flippant thing that you’re choosing. Coaching chose you a long time ago. Yes, you will make money. Yes, your heart will be satisfied doing what you love, but you are likely in the majority of coaches who had a defining moment in their lives when they knew they were called to help people. That passion is not going to go away. It’s time to do it! Earn your credential on your own schedule and at your own pace. When you enroll, you have immediate access to the program. We don’t have start and end dates. All your training is at your fingertips available across all devices 24/7. 98% of our students work full-time, and we’ve designed our program for busy people like you who are already living a full life but want to take living to the next level. Get FREE of the grind, and get CONTROL of your time & finances. Start your career right with instant credibility. Life Coach Training Institute is the largest life coach training program in North America and is internationally recognized. No school has more grads or has trained more coaches. Become a proficient coach without putting yourself at financial risk. As the original pioneers in online life coach training, we’ve cut all the overhead costs associated with live/on-site training slashed and made training and certification affordable for YOU without losing quality or proficiency. I found the program through a Google search – and was drawn to the affordability and self-pace. I was worried that it would be too “generic,” and I would never get to talk to or connect with a real human at any time or at least in any meaningful way. Of course, I was then so pleasantly surprised when staff would always write me right back if I had a question or concern – and then in Jumpstart I got to know the founder and was really delighted by the engagement and quality of the weekly calls with coaches from all around the world! 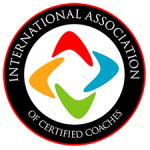 Setting the Foundation - for a successful coaching relationship and managing expectations up front; Establishing the coaching process and getting started on the right foot. Co-Creating the Relationship – resonating with your clients, establishing trust and intimacy with your clients so they will share their real challenges with you. Having the all-important “coaching presence” of a consummate professional. Communicating Effectively – Active listening – a much deeper and more profound skill than you may think at first. How to ask powerful questions that “cut to the chase” and uncover deep discoveries, as well as the sometimes difficult skill of direct communication. Facilitating Learning & Results – This is what life coaching is all about. At the end of the day, you will be judged based on the results you get your clients. Dive into the dynamics of designing goals and actions, managing progress in a way that actually works and delivers your clients the kind of results that will expand your brand and reputation. - for a successful coaching relationship and managing expectations up front. Establishing the coaching process and getting started on the right foot. – Resonating with your clients, establishing trust and intimacy with your clients so they will share their challenges with you. Having the all-important “coaching presence” of a consummate professional. – Active listening – a much deeper and profound skill than you may think at first. How to ask powerful questions that “cut to the chase” and uncover deep discoveries. And the sometimes difficult skill of direct communication. – This is what life coaching is all about. At the end of the day, you will be judged based on the results you get your clients. Dive into the dynamics of designing goals and actions; managing progress in a way that actually works and delivers your clients the kind of results that will expand your brand and reputation. Enroll now with Instant Access! Or START NOW with the Life Coach Certification Course! Do you need an Easy Pay Option?